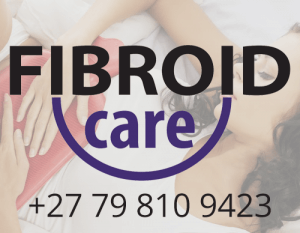 Fibroid Care offers you the best fibroid doctors in South Africa, our physicians have carefully selected and collaborated with industry leaders in the field, to leverage the latest technologies in the embolization process. These tools and equipment are not only the most technologically adept, they are well tested and proven in the field. Boston Scientific is a leading innovator of medical solutions that improve the health of patients around the world. Their products and technologies are used to diagnose or treat a wide range of medical conditions, including heart, digestive, pulmonary, vascular, urological, women’s health, and chronic pain conditions. Founded in 1979, the company is a pioneer in interventional medicine and is dedicated to transforming lives through innovative medical solutions that improve the health of patients around the world. 5. Available in multiple lengths (105, 115, 135, 150cm) to access a variety of vascular beds. With these new technologies, Fibroid Care can perform a transradial approach for uterine fibroid embolization as a minimally invasive treatment option, allowing women to preserve their uterus and shorten their recovery time. Contour PVA Embolization particles are small and irregular flakes of polyvinyl alcohol, which are used for permanent occlusion of a blood vessel. The Contour PVA Embolization Particles have been proven safe and effective in many clinical scenarios for decades. Due to the irregular shape of PVA flakes, Contour PVA Embolization Particles are designed to occlude vessels with less material than uniform microspheres. Boston Scientific South Africa has recently become a direct provider of interventional stock to its clients cutting out the middleman and providing affordable access to modern, high-tech equipment. They extend their support to Fibroid Care to assist those patients whose medical aids will not completely cover the expenses and sees this as their corporate responsibility to patient healthcare in South Africa.